Home » News » ÖHLINS: The new service partner for the "Alpe Adria Road Race Cup" 2013! 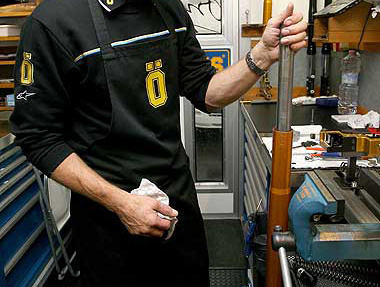 ÖHLINS: The new service partner for the "Alpe Adria Road Race Cup" 2013! Öhlins DTC, the German Distribution & Test Centre of Öhlins Racing AB and based in Meuspath near the famous Nürburgring, is the new Suspension Racing Service Partner for the 2013 "Alpe Adria Road Race Cup"! In these cross-country road racing series, more than 500 competitors from 17 countries are taking part, mainly from Italy, Slovenia, Croatia, Austria, Czech Republic, Slovakia and Hungary. Öhlins DTC Germany is also responsible for the distribution of the Öhlins products in the most of these European countries, except Italy. 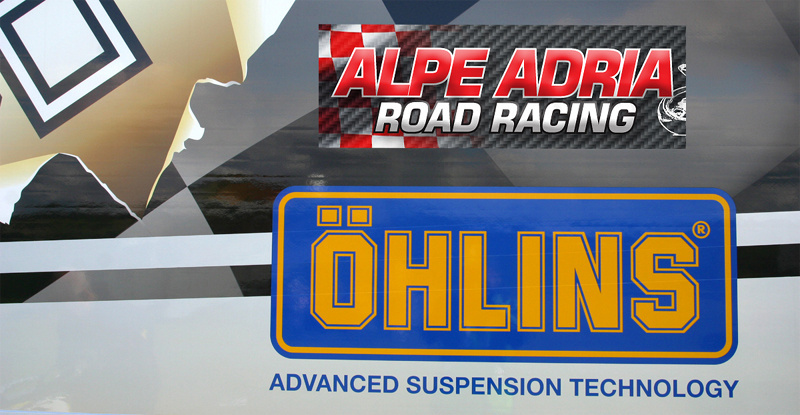 Öhlins DTC will be present with a new technical Suspension Racing Service at all races and free practices of the "Alpe Adria Road Race Cup" 2013. They will support riders with experienced advice and technical support in all fields of suspension technology. Jan Halbich, the experienced Czech Öhlins Service Centre, will be responsible for this new Racing Service. The Alpe Adria Road Race Cup has been evolved during the last years to a popular racing series with an impressive high riding and speed level. Also former World Championship riders or National Champions are joining the races and compete with new talents. The Alpe Adria Road Race Cup is open for the categories Superbike, Supersport, Stock 1000/600, Moto3/125 and a production class for (very) young riders. The promoter of the series, the Alpe Adria Motorcycle Union, is also organizing races for Motocross, Supermoto, Enduro, Trial and Speedway. ÖHLINS: The new service partner for the “Alpe Adria Road Race Cup” 2013!